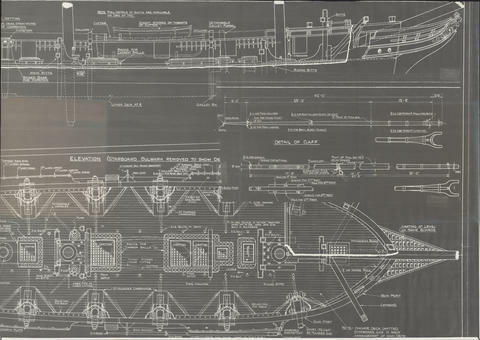 Item is a section of a drawing of an unidentified ship, probably the Bluenose II. The ship is shown from above and from the side. The drawing also includes a detail of the gaff. All of the parts of the ship are labelled. The drawing is a reproduction and parts of the original are cut off.